Army workouts are very different compared to the workouts performed by the average person in the gym. The rating scale for physical fitness also referred to as the APFT (Army Physical Fitness Test) scale is a method to determine upper body, abdominal, and cardiovascular fitness. The push up test, the sit-up test, and the 2-mile run are three separate scores that are added together for a final score. 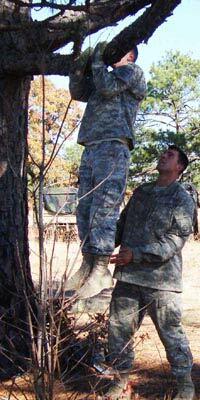 Basic training soldiers are required to score 180 or more to fulfill the physical requirements. The APFT is a critical rating scale but necessary to assess the soldier’s readiness. Various jobs and MOS (Military Occupational Specialties) require different APFT scores. For example Special Forces, Rangers and Airborne soldiers are required to score 210 not 180 to pass their physical requirements, however ALL soldiers must understand the importance of being physically fit in the military. This first phase (basic training / boot camp) of an individual’s military experience is a culture shock for a lot of soldiers. Boot camp is notorious for being physically, mentally and emotionally stressful. Along with programming the mind to think and act like a soldier, the drill sergeants make it apparent from day one of basic training that Army fitness and Physical Training (PT) is perhaps the top priority in the Military. Drill sergeants make the soldiers understand that if they cannot be physically fit, then they are “combat ineffective”. With this being said basic training and drill sergeants assume everyone is at the level of beginner. 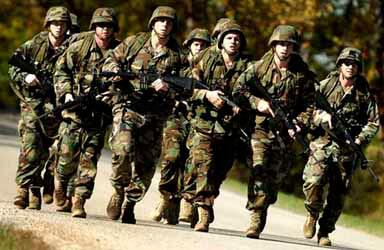 Soldiers are required to run/jog almost everywhere they go unless they are in marching formation. Army fitness workouts are almost always composed of an upper or lower body routine and almost always finished with a run. At the start of basic training the lengths are short. For example the first week the drill sergeant may take his platoon on a 2 mile run at a 10 minute per mile pace (MPMP). As many soldiers can tell you a 10 MPMP is easy. As the soldiers progress through their workouts, the runs get longer and the MPMP goes down. An example of this progression would be: week one – 2 mile run at 10 MPMP, week two – 2.5 mile run at 9 MPMP, week five – 4 mile run at 7.5 MPMP. Drill sergeants have training on physical fitness and they know how to safely and effective progress their soldiers from unfit – to combat ready. The same methods of progressive training are done with upper body and abdominal strength. Drill sergeants will start with light volumes of training and as the weeks of basic training go on proper progression will lead the soldiers to higher and more strenuous volumes. Drill sergeants always keep the end objective in mind : being ready to go to war. What are the Army Physical Fitness Standards? The army workouts and PT exercises are done Monday through Friday. There is structured workouts almost daily to work on upper and lower body strength and endurance, flexibility training and cardiovascular endurance. 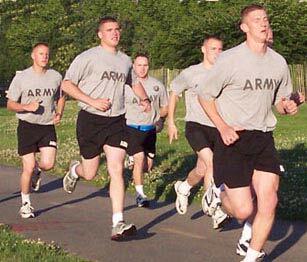 Army PT exercise usually starts at 6:30 am and runs until 7:45 am. At 6:30 , after all soldiers are accounted for in formation, there is a phase of stretching. This phase works from head to toe. The upper body, arms, shoulders and stretched first, then the stretches progressively move downward. Calisthenics would then be the next step. All exercises would be in counts of 4. “1,2,3 1!” “1,2,3 2!” “1,2,3, 3!”After the stretching period, focus would be on upper body or lower body exercises. Army fitness workouts for upper body commonly consists of with exercises including pushups, pyramid pushups, pike pushups, rope climbing, pull-ups, bear crawls, dips, and partner assisted shoulder press. Lower body/abdominals work outs consist of exercises such as , the side straddle hop, mountain climbers, knee benders, lunges, piggy back squats, flutter kicks, crunches, heel touches, Generally speaking sets can vary from 3-6 with reps ranging from 15-30. MPMP and distance is all taken into consideration. Usually the NCO’s are the pacemaker, and maintain a speed that will complete the run in a specific determined time. There is also added stress to the runs from singing cadences throughout the run. If you do not “Sound Off” and an NCO spots you, you will be disciplined. There is usually one day a week (Wednesdays) that soldiers have a road march as there PT session. Instead of being in shorts, t-shirt and sneakers, soldiers are in their uniforms, in their boots and helmet and have a rucksack full of gear along with their weapon. This is a variation from the typical workouts the soldiers go through the other days of the week. These road marches are a sport specific training approach to being in Iraq or Afghanistan. As any veteran can tell you, over in Iraq or Afghanistan there is a lot of mobilization and helicopters and planes are not always available. It is not uncommon for a whole battalion to march 14 miles to a new location to support their mission. These road marches train the energy pathways the soldiers would use while performing missions overseas. These are not just casual walks. MPMP pace can range from 18 down to 12-13 which is extremely quick for marching in formation. This is great conditioning for the soldiers to march with all their gear on, so if they find their selves in combat needing to maneuver a specific distance, then they are conditioned to do so. Often (about once a week there is a battalion or a company run) this is a large formation of a specific company, battalion, brigade or in rare cases an entire Division. This large formation run is meant to increase morale and is usually done on Fridays. Sometimes the commander will lead the run as a pace maker. Usually these runs are longer in duration with at a slower pace. On days such as these there is no upper or lower body workout before the run. These runs are usually finished off with some kind of group “FUN” exercise such as wrestle pits, or king of the mountain. Heat tolerance and combat fitness will save lives while in combat. It is important that pre-combat training involves getting soldiers environmentally and physically ready for combat. An Army fitness routine that focuses on cardiovascular conditioning and muscular strength and endurance are the most important part of being combat ready. Combat requires one to run, jog, jump, hurdle, climb, carry, crawl etc. For these activities cardiovascular conditioning is essential. Aside from the physical demands of exercise, soldiers must also adapt to the extreme temperature fluctuations. A soldier must be ready to deal with the 120 degree temperatures in Fallujah Iraq or the 10 below temperatures on the Afghanistan Pakistan border. For civilian physical training, it is not recommended to train midday while the sun is at its warmest. However soldiers getting ready to go to the dessert often do train and do their workouts during the hottest parts of the day during the hottest months of the year. A combat solider is equipped with their body armor protective gear (AVG – 40 additional pounds) their weapon (anywhere from 7-30 pounds) ammo (10-30 pounds) and their rucksacks (30-80 pounds). For this reason the core muscles are perhaps the most important to keep trained. Soldiers must have strong back muscles and abdominals to stabilize their whole body while trying to maneuver and function with this additional weight. Muscular strength in the arms, shoulders and legs are important as well. 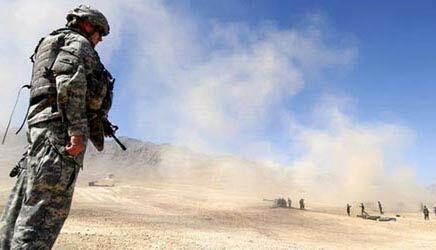 There is no room for poor physical fitness and condition while in combat. The enemy actually prefers to attack weaker soldiers or ones that appear to put up less of a fight. Soldiers are told “fatigue and pain” are not an option even if they find themselves tired from running with a 75 pound rucksack on while carrying a 25 pound machine gun and ammo. You may need to carry your wounded buddy on your back out of a firefight or ambush and you have no time to take rests as you make your way to the emergency aid station. You may need to clear a 5 story building while making your way up the flights of stairs with all your gear and weapon in 120 degree temperatures. This is exactly why drill sergeants, from day one of boot camp stress that physical fitness is perhaps the top priority as a soldier. Soldiers must take the physical demands of combat seriously and realize that being fit for combat is sometimes a life saving characteristic. Where Are Army Fitness Workouts Most Often Performed? The army needs to constantly keep their soldiers fit. Many situations arise and access to a gym is not possible. Another reason soldiers focus on a different approach is because the army always moves in large volumes (platoons, companies, battalions etc…) this would over crowd a fitness facility. For these reasons the workouts have been developed in which no exercise equipment is needed. 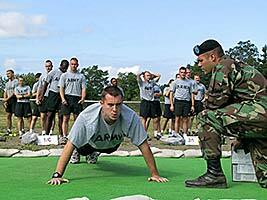 Body weight exercises are much more common for physical training while in the military. Where the average gym goer can grab a pair of dumbbells and do a set of overhead triceps extensions, a solider may need a small ledge and work out their triceps with partner assisted dips. 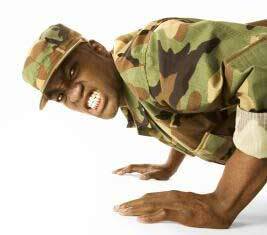 Bench press in a gym is mimicked by soldiers performing pushups, pike pushups and pyramids. 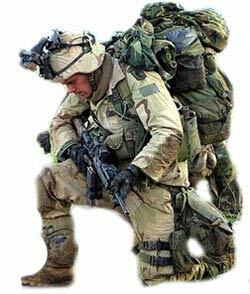 While a weight lifter needs a squat rack , the solider will grab his buddy and start doing squats with him on his back. People in the gym may use the lat pull down machine while soldiers only have access to some pull-up bars. Examples of other non-traditional exercises include rope climbing, low crawling, and ski jumpers. Briefly said, army workouts can be effectively performed with the body only, and does not need weights, or a fitness facility. There is a common goal for both the average gym goer and the soldier: to get fit, build strength and stay in shape, although the methods of achieving these goals vary dramatically. The main focus of army workouts are to prepare soldiers to be physically ready for a situation during war. The “big three” the army focuses on are push-ups, sit-ups and cardiovascular fitness. There are other exercises that are done on a weekly basis in most units. Partner resisted exercises (PREs) are common. A PRE is when a person exercises against a partners opposing resistance. Some common PRE’s include single leg squat, leg extension, leg curl, bent over heel raise, toe raise, push-up, seated row, overhead press, shrug, pull down, triceps extension, bicep curl, abdominal curl and abdominal crunch. After quickly browsing this list, it would seem impossible to effectively perform these exercises with only a partner, but the army has been doing it for decades. Other common exercises include flutter kicks, mountain climbers, over head arm clap, and the side straddle hop. Dan Tatro received his degree in physical education: exercise from the University of Vermont before he enlisted in the US Army. In the Army Dan was a paratrooper in the 82nd Airborne Division serving in both Afghanistan and Iraq. Dan has been involved with exercise and fitness for 14 years. Dan is currently an NSCA certified personal trainer in Orange County California. Do you want to exercise like the military? Physical fitness is broken down into 5 basic components which you can selectively find the information you are looking for. If you plan to take the Army physical fitness test you can learn all you need to know about physical fitness. Click on any body part on an anatomy chart to find information about exercise. If you are looking to create your own army fitness workouts, you can use some of the exercise science information to create a beginner or advanced Army PT exercise program. You can find more information about army fitness and Army PT exercises on the official website of the United States Army. Bio Dan Tatro began his interest in physical fitness at the age of sixteen while getting in shape for his high school hockey team in Vermont. In addition to hockey, Dan also played football and baseball and was awarded the High School Hockey Coach's Player of The Year Award his senior year. After graduating high school, Dan went on to the University of Vermont, studying Physical Education with a concentration in Exercise and Sports Science. Upon receiving his Bachelor of Science degree in Physical Education from the University of Vermont, Dan joined the United States Army and was among the country's elite infantry paratroopers in the 82nd Airborne Division in Fort Bragg, North Carolina. He earned the rank of E5 sergeant as a non-commissioned officer. His Army tours took him to Afghanistan in 2003 and Iraq in 2004. 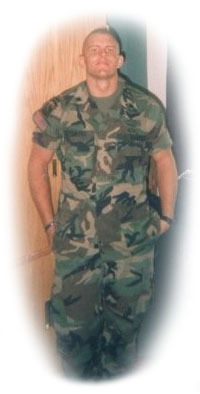 While in the Army, Dan won the Company Iron Man Competition in 2003 and the Battalion Road March Competition in 2004. Dan also was sent to West Point Military Academy in 2005 to train the Army Cadets. Dan currently holds a certification by the National Strength and Conditioning Association as a personal trainer (NSCA - CPT). Dan currently works as an Independent personal trainer in Orange County , CA He trains people in their homes, private community fitness centers and at the Rancho Santa Margarita studio. Dan enjoys working with both male and female of all ages...... Experience Dan prefers private one-on-one training over others so the focus is on the individual and no one else. One-on-one has been shown to be extremely effective and rewarding to most individuals. While not all people have the time or money to go to the gym, Dan enjoys traveling to a clients home with exercise equipment specific to their programs. Dan has travels around Orange County and has helped people with his in home training regime from Los Angeles to San Diego Dan has been doing online exercise programs for 9 years. With the proper pre participation screen and health history screening Dan has successfully got hundreds of people to meet their fitness goals without physically being there. Dan is always there for email or phone support at any point and together, this method has been proven to be effective although less traditional.